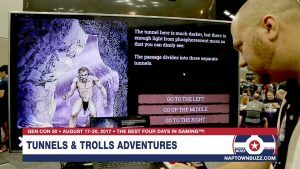 Take a look at the new digital version of Tunnels & Trolls and MetaArcade’s Adventure Creator Platform. Check out the Gen Con 50 Food Truck Schedule for Thursday, August 17, 2017. Check out the Gen Con 50 Food Truck Schedule for Wednesday, August 16, 2017. If you want to purchase a Saturday badge for Gen Con 50, this is your final reminder, as they’re anticipated to sell out soon! 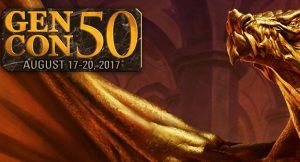 Gen Con has announced a sellout of 4-Day badges for Gen Con 50, its historic 50th convention to be held August 17-20. Trade Day badges, available to retailers, educators, and librarians, have now sold out for Gen Con 50. The naming contest for Sun King’s Official Beer for the historic Gen Con 50 has begun! Gen Con will increase its 2017 presence within Lucas Oil Stadium, adding exhibition and event space to the play field. Gen Con has chosen New York Times Best-Selling author Charlaine Harris as its Gen Con 50 Author Guest of Honor. 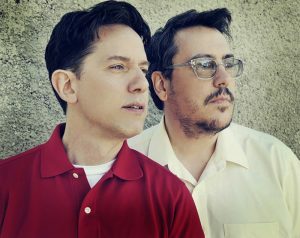 Gen Con has announced that Grammy Award-winning recording artists They Might Be Giants will play an exclusive concert to celebrate Gen Con 50 on the evening of Thursday, August 17th.